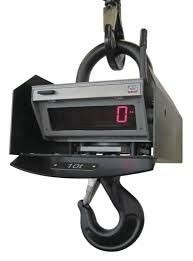 The KGW foundry crane scale is an extremely robust crane weigher, protected against shock loading and constructed primarily for heavy industrial use. Using the supplied infrared hand transmitter, the scale can be tared off up to a distance of 30 M, without any wires or festooned cables. Extremely simple to use. The subtracted weight when selected is displayed as a negative tare with a “minus sign”. If required, the system may be expanded by using an optional wireless data receiver. Foundries, charging, blending, weighing hot metal. Using lifting magnets, spheroidal casting, grey-cast iron and chemicals solids, feeds and bulk products, etc.